Hireology and Automotive News are partnering to create the single largest source of automotive retail jobs in North America. 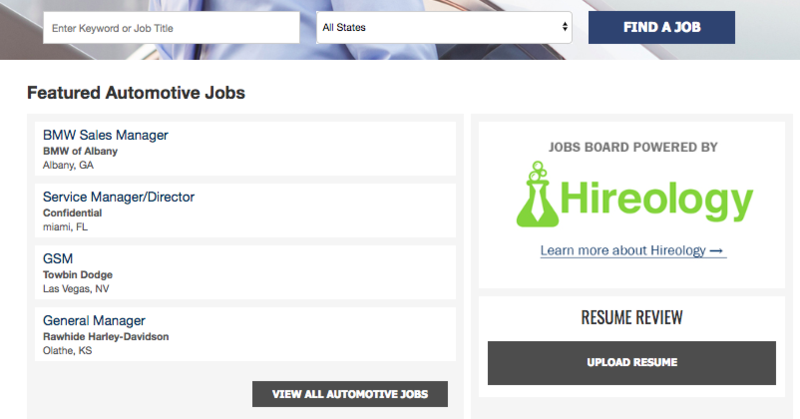 The Automotive News Jobs Board, powered by Hireology, provides maximum exposure for senior-level dealership roles, in front of the industry’s most engaged candidates. Automotive News’ readership of more than 196,000 automotive insiders, combined with thousands of open jobs across Hireology’s network of dealership customers, provides a unique opportunity to connect the industry’s most engaged candidates with open dealership positions. Through this partnership, jobs posted for senior-level dealership roles on the Automotive News Jobs Board deliver nearly 5x more quality candidates for executive-level roles compared to traditional job boards. As dealerships face increasing pressure on their traditional business, it’s critical to hire the best teams and turn employees into a source of competitive advantage. But in today’s market, dealerships struggle to attract and hire skilled candidates for key leadership roles – including General Managers, General Sales Managers and F&I Directors, among other positions. Automotive News is the leading multimedia source of global industry news and insight. Founded by Crain Communications in 1925, Automotive News serves top auto industry executives – including vehicle manufacturers, their original equipment suppliers and franchised car dealers and others allied with the industry. The Automotive News Jobs Board is a North American resource for automotive employers who are looking for highly qualified candidates, as well as job seekers who are seeking automotive employment — from entry to executive levels. 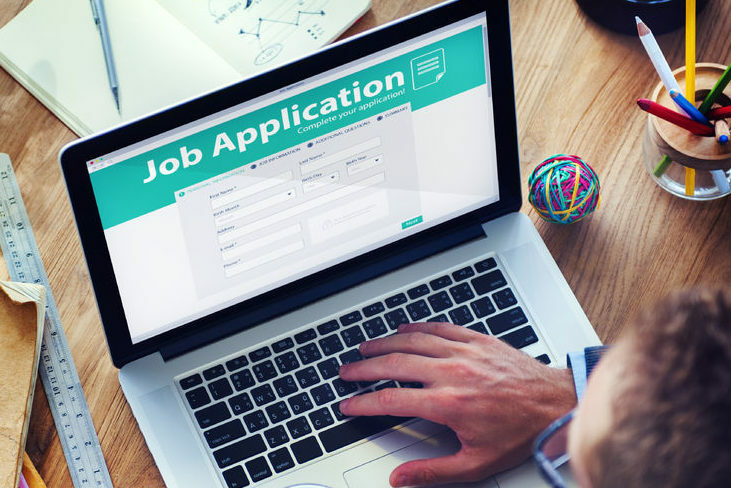 Use the Jobs Board to pursue your next opportunity and connect with the industry’s decision-makers. Hireology is the most widely-used hiring platform in retail automotive, powering the hiring process for thousands of rooftops. Representing top groups, independently-owned dealerships and OEMs, Hireology helps the automotive industry source and hire great talent. Hireology’s integrated hiring platform helps dealerships make more money by reducing time to hire and saves dealerships money by optimizing job board spend. PrevPreviousRecord-Low Unemployment: How Can Your Dealership Attract Recent Graduates?